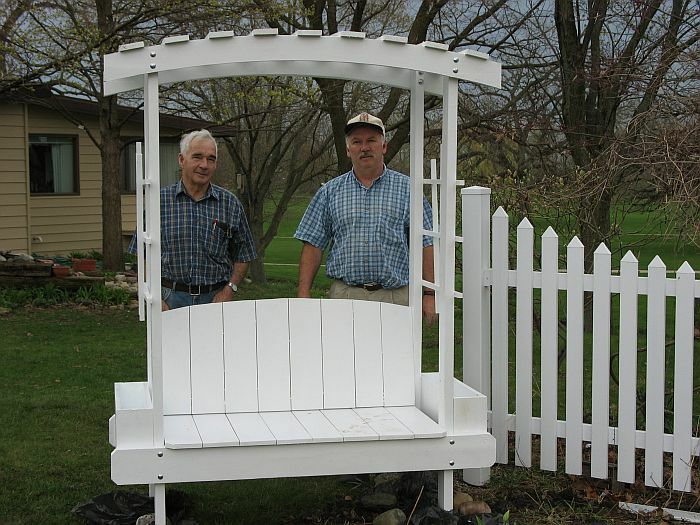 I ended up building two of these garden benches for my Sister's flower garden. I used a Delta plan titled Trellis Bench. You can buy a copy at Amazon. On the 1st bench I built, I just used a jig saw to cut out the curved top pieces. 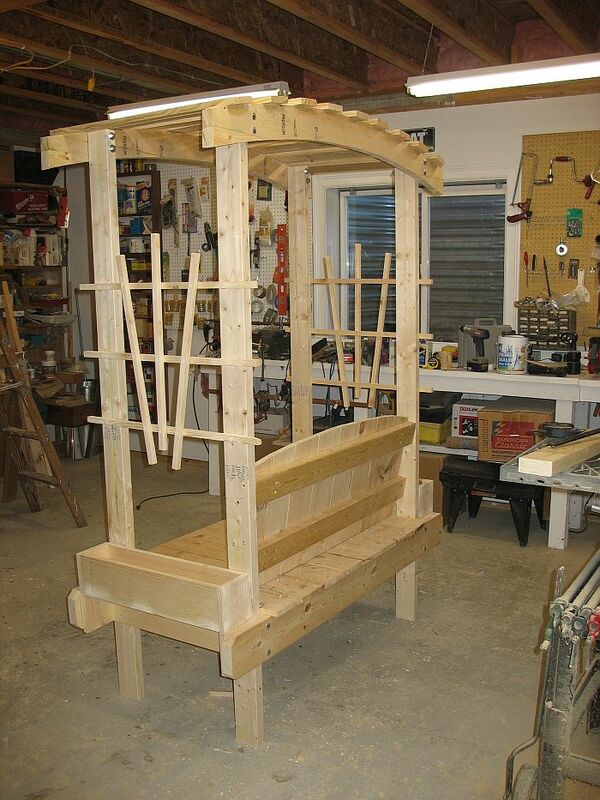 On the 2nd bench I built, I made a 126 inch long swing arm and used my router to cut the curves. I used a saber saw to cut the curved tops on the first bench. On the 2nd bench, I made a very long swing arm from scrap wood and routed the curve to get a more perfect looking curve. I made the benches in my workshop, then transported them across town to assemble them in my sister's garden. I anchored them in concrete using pre-made stamped steel connectors....that are normally used to secure wood decking posts to concrete. My dad helped me install one of the benches. Below is my sister and Dad in the garden with both benches. These benches were made circa 2006 and 2006. As of 2012, they have withstood the test of time. We did give them a fresh coat of paint after about 4 years of service. After 9 years of service, the plain pine benches finally rotted out. I replaced them with pressure-treated wood. Lowes had 3/4" thick pressure-treated that I used for the seat, back, and top slats.